The production of educational slide programs on orchids is one of the chief functions of the Education Committee of the American Orchid Society. 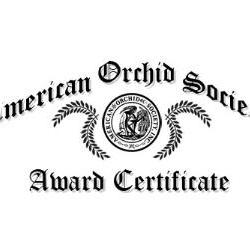 The American Orchid Society provides these programs to its members as a service to its members and Affiliated Societies. This listing of our current offerings is broken down by major subject and includes our videotape series. More than 800 requests for slide programs have come from our Affiliated Societies in the last few years. With each outgoing program is an evaluation form to be completed and returned with the program. We would appreciate your thoughts on the programs viewed by your society so that we can continue to improve and update them. Your ideas on topics for new programs are always welcome. Please let us know of any way that the AOS can serve your society better. Remember: we are here for you. 1) Write at least eight (8) weeks in advance to: "Slide Program Requests", American Orchid Society at Fairchild Tropical Botanic Garden, 10901 Old Cutler Rd., Coral Gables, FL 33156. You may also order via e-mail at TheAOS@aos.org. However, you must still give eight weeks advance notice. 2) State the number and title of the program desired, listing second and third choices. 3) Give the name of the Society, date of meeting, and name, address and telephone number of the person to whom the program is to be sent. 4) You will be notified promptly whether or not the program can be reserved. 5) The program will be sent by United States Postal Service (USPS), to guarantee the package is insured. 6) No fee is charged, but each Society is expected to pay return postage or shipping costs and must insure the package for $100.00. To help prevent the loss in international mails, we require that non-US. affiliates return the programs by registered (return receipt) air mail. 7) The programs must be returned to the AOS within three (3) days of use by priority mail or courier service. The AOS does not have unlimited copies of each program. Often there are requests for the same programs, and scheduling can be tight. We must insist on your consideration and cooperation in this matter. Societies with a poor history of timely return of programs may be denied access to newer/more popular programs. This service is for the benefit of the many, not just the few. Telephone requests will be accepted ONLY in emergency situations and we cannot guarantee that a specific program will be available at late notice. Thank you for your cooperation. To ensure receipt of materials in a timely manner, program requests may be made for an entire program-year. Programs will then be sent automatically for requested dates. 101 In Vitro Propagation of Orchids (132 slides, 35 minutes). Dr. K.S. Xavier, with sponsorship of Hermann Pigors, offers a well-illustrated introduction to orchid meristem tissue culture of many major orchid genera. This program offers fascinating insights into just what it takes to make enough of that special orchid to go around. Even if you don’t have the slightest idea of the difference between a stem prop and a meristem, you’ll come away with a good basic idea of the principles behind modern lab techniques. 102 Culturing Equitant Oncidiums (41 slides, 45 minutes). Anita Aldrich prepared this excellent program that gives the history, culture, habitat, care and feeding of this popular group of oncidiums. 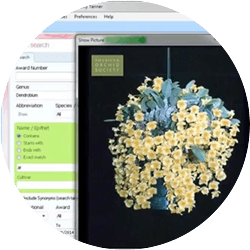 “Equitants” are coming back into vogue, so get this program now to help your members do their best with this beautiful group of plants. Complete instructions on identification and elimination of pests and diseases are also provided. A culture sheet is included with this program, which may be copied and distributed as a handout. 103 Orchid Pests and Diseases (56 slides, 40 minutes). A good way to learn to identify and eliminate those pesky pests, bacterial and fungal diseases in your collection is to watch this program by Thomas J. Sheehan, Ph.D., Professor Emeritus of Ornamental Horticulture at the University of Florida and consultant for the popular “Questions & Answers” column of Orchids. 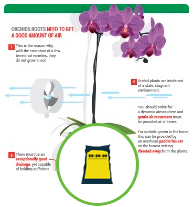 A good study guide to accompany this program is the well-illustrated AOS handbook Orchid Pests and Diseases (BK103). Available in PowerPoint Presentation Format. 104 The Captivating World of Orchids (46 slides, 35 minutes). Prepared by Terri Johnson. Suitable for garden clubs and other beginners’ group. The program is an outstanding introduction to the many facts of the orchid hobby. Available in PowerPoint Presentation Format. 105 What are Orchids? (79 slides, 45 minutes). Prepared by Moises Behar, MD. This wonderful program, produced by a corresponding member of the AOS Education Committee, is one of the best primers on the diverse family of orchids that we have seen. Even the most hardened orchid specialist will find something to enjoy here, if only the terrific photography. The rest of your society will be captivated by the down-to-earth script and the beautiful slides. This is quite popular, so reserve well in advance. 106 Orchids for the South Florida Garden (60 slides, 50 minutes). Orchids are definitely part of the Florida lifestyle. Whether you’re an Affiliated Society from Florida, or just want to know how orchids grow here, this presentation is for you. 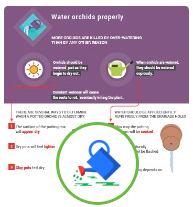 Prepared by Ned Nash, this illustrates just some of the ways orchids can easily be integrated into the Florida garden landscape. Features slides from actual homes, as well as from some of the both beautiful South Florida gardens. 200 Equitant Oncidium (Tolumnia) Species (45 slides, 30 minutes). Prepared by Anita Aldrich. This program is as good an overview of a rather specialized group as we have seen. Anita is past chair of the AOS Committee on Awards, is an AOS vice president and her user-friendly approach to the subject results in a presentation that will make “equitant enthusiasts” out of anyone who sees the program. Also, culture hints are given that will make growing these diminutive plants easy and accessible. Available in Power Point Presentation Format. 202 Miniature Orchid Species (46 slides, 25 minutes). Prepared by Phil Andrews. 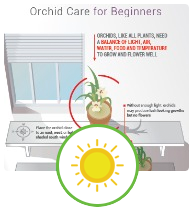 This is an older program that retains its value as an introduction to the many smaller-growing members of the orchid family. Most appropriate for garden clubs or beginners’ groups, this might be the start to enthuse those with only limited space who feel they cannot grow orchids. 203 Small Orchids with a Big Future: The Pleurothallidinae (61 slides, 60 minutes). This program, prepared by the late Gary Baker and Mary Davidson Dunnell, highlights many “leprechauns” that are quite undemanding in space requirements. Despite the escalating price of heating a growing area, you can lower the thermostat and still enjoy orchids. 206 Native Australian Species and Their Hybrids (36 slides, 20 minutes). Prepared by John Woolf of Australia, this program deals with the species indigenous to the Toowomba, Queensland area where he lives, as well as the hybrids from these species. Dendrobium and Sarcochilus are among the genera shown. 207 Surviving Orchids of the Northeastern United States (80 slides, 40 minutes). Prepared by Dr. George H. Newman. Beginning orchid growers may not know, and experts may forget, that orchids are a very cosmopolitan group, inhabiting just about every ecological niche. This fascinating look at the native orchids of the northeastern United States illustrates the beauty of our temperate-zone terrestrials. Even the most hardened hybrid orchid lover cannot help but be charmed by these lovely photographs taken in situ. And, short of actually visiting the areas where these plants grow, this is the only way you can legally see these plants. They are endangered and almost impossible to grow in cultivation, not to mention being illegal to collect. This is part of the orchid world that should not be missed. 208 Useful Species of the Cattleya Alliance (78 slides, 40 minutes). Ernest Hetherington of Stewart Orchids, who contributed a long series in the AOS Bulletin (now Orchids), presents a hybridizer’s view of species in the Cattleya Alliance - Cattleya, Laelia, Brassavola, Encyclia, Sophronitis and Broughtonia. This gives the beginner a bird’s-eye view of what has gone into today’s modern cattleya hybrids. 209 Phragmipediums (66 slides, 30 minutes). Louis S. Hegedus provides a fresh look at species and hybrids of Phragmipedium, those dramatic slipper orchids originating in the New World Tropics. As an added bonus, three pages of cultural information by the author are enclosed with the program so that your program chair can make copies. Coming soon in Power Point! 210 Paphiopedilum Species (80 slices, 45 minutes). Here is the program you’ve been looking for — an authoritative look at Paphiopedilum species by one of the most knowledgeable “paphanatics” around, Norito Hasegawa. Included are great slides of the newest paph species. Limited number of copies; please reserve far in advance for your meeting. Available in PowerPoint Presentation Format. 211 Saving Orchids Starts at Home (80 slides, 45 minutes). Every AOS Affiliated Society should reserve this program on conservation of North American orchids, prepared by Ann Jesup. Problems facing our endangered or threatened native species — development, illegal collection, habitat mismanagement — are identified and workable solutions are offered. Conservation of native North American orchids involves us all, necessitating as it does, the preservation of wild habitat. Without an awareness of our natural heritage, we will soon have nothing but freeways and concrete, and the memories. This program is almost a must-see for Affiliated Societies. 212 Restrepias and Their Culture (47 slides, 30 minutes). For those with limited growing space and a taste for interesting miniatures, the genus Restrepia fills the bill. Master grower Wayne Cokeley surveys the genus and indicates which species are easiest to grow. 213 Orchids of the Lower 48 (80 slides, 45 minutes). This program on native orchid conservation was produced by Leon Glicenstein. This is a superbly photographed and scripted program showing a representative sample of our finest native orchids in their wild habitat. Leon has an engaging style, well-suited to this format. This is one of our newer programs and is extremely worthwhile, both for its beauty and for the information it imparts. 214 Miniature Orchids (79 slides, 40 minutes). Prepared by Moises Behar, MD, corresponding member of the Education Committee. This extraordinary program is not misnamed - it deals with truly miniature orchids. Outstanding photography renders these normally almost unviewable plants and flowers with a finesse and beauty that will make you want to attempt the challenge of growing them! 215 Unusual Orchids Visible with the Naked Eye (49 slides, 45 minutes). A newer program by Ned Nash, former AOS Director of Education & Conservation, has great, rarely seen orchids, that don’t require a hand lens to view -- bizarre, beautiful and big. You’ve heard about many of these, but never seen ‘em — here’s your chance! 300 Colombian-type Miltonias (57 slides, 40 minutes). This program, prepared by the late Gary Baker of Baker & Chantry, Inc., features some of the “butterflies,” “pansies” and “waterfalls” that are now correctly placed in the genus Miltoniopsis. A colorful program which pays particular attention to breeding, this presentation also gives helpful hints on culture and pest control. 301 Super Spider Orchids: Breeding with Brassias (62 slides, 30 minutes). Prepared by the late Gary Baker and Mary Davidson Dunnell, this program offers a firm foundation for orchidists wishing to acquaint themselves with today’s colorful, unique hybrids with Brassia ancestry. In many cases, breeding brassias with cooler-growing genera has produced orchids that will tolerate wider temperature ranges, making them candidates for everyone’s collection. 307 Paphiopedilum bellatulum and its Progeny (66 slides, 40 minutes). The breeding habits and characteristics of the popular Paphiopedilum bellatulum are the subjects of this interesting program by Bernice H. Steiner. Be sure to bring pencil and paper to take notes for a shopping list. 308 Today’s Strap-leaf Vanda Hybrids (59 slides, 40 minutes). The influence of primarily two species, Vanda sanderiana and Vanda coerulea, in modern vanda hybrids is traced in this very informative and interesting program by David Grove, Ph.D.. Half of the program is devoted to all aspects of culture. 309 Brassavola Hybrids — The New Look in Cattleyas (55 slides, 45 minutes). Traces modern usage of the true Brassavola species, with a special emphasis on Brassavola nodosa. Something for everyone here, highly entertaining treatment of subject matter by well-known orchid personality and judge Marianne Matthews. Available in PowerPoint Presentation Format. 310 Dendrobium — Hybridizing in the Latouria and Formosae Sections (66 slides, 50 minutes). Despite the rather dry name, an outstanding treatment of two groups where quite a bit of work is presently being done. The provider, Roy Tokunaga of H&R Nurseries, is one of the most knowledgeable of the newer breed of hybridizers. You will enjoy this insight into these popular groups. 311 Trends in Modern Cattleya Breeding (50 slides, 40 minutes). Everyone likes cattleyas, and everyone needs to know more about modern trends in this beautiful and exciting group. Here, former AOS Director of Education & Conservation Ned Nash identifies and illustrates the seven most important modern trends in cattleyas. A must-see. 312 Of Primary Interest (40 slides, 35 minutes). A fascinating program giving a glimpse into the world of primary (species x species) hybrids. An AOS Staff production, this will give viewers a new perspective on an increasingly popular group of timeless relevance and rare charm. And, there’s not one paph in the group! 313 The Big Three Cattleya Species: C. labiata, C. trianaei, and C. mossiae (51 slides, 45 minutes). Ever wonder just how we got to our modern cattleyas? Here Ned Nash takes us on a tour of the main breeding influences of these three vital building block species. Entertaining and educational, this has been one of his most popular recent productions. 314 The Legacy of C. Horace (40 slides, 40 minutes). Arguably the premier cattleya parent today, viewers will get a first-hand account of why C. Horace is so important, as well as some valuable plant selection tips for evaluating its progeny. Additionally, this is a really beautiful collection of fine cattleyas. 406 Orchid Judging (30 slides, 35 minutes). This extremely popular program, prepared by the late Maurice Powers, AOS judge and past chair of the Committee on Awards, is directed toward the novice with a limited understanding of the AOS judging system. A three-page preface contains all fundamental aspects of the system. Species, interspecific and intergeneric hybrids are presented. Although not identified by clonal names, they are treated in a general sense. Both positive and negative attributes of each clone are discussed. A consolidated score sheet, to be duplicated and distributed by the program presented, is provided for the benefit of those who wish to participate actively in the program. It will be helpful to have a few copies of the latest edition of the American Orchid Society’s Handbook on Judging and Exhibition for the audience to skim through, either before or after the program is presented. 407 Modern Rhynchostylis Hybrids (55 slides, 45 minutes). One of the newer programs, by the AOS Staff, gives a glorious look at the range available today in this again-popular genus. The program focuses especially on the more primary-style types and their particular charm. Available as a Digital Slideshow with MS Word script. 500 Orchids of Mexico (80 slides, 60 minutes). An informative glimpse at some of the attractive orchid species to be found in Mexico, both the well-known and the lesser-known, with some comments on their habitats and cultural needs. 501 Orchids of Northern Venezuela (80 slides, 50 minutes). In this program, a highly enjoyable commentary is combined with top-rated color photography by the late G.C.K. Dunsterville. He shares his keen interest and broad experience in orchid gathering in Venezuela, concentrating on the northern areas which are more accessible for the average orchid traveler. 502 Orchids of the Venezuelan Interior (80 slides, 50 minutes). Here’s a second offering by one of the most knowledgeable persons in the field of Venezuelan orchids. This time Dunsterville leads his audience on an orchid-collecting trip into the less accessible areas of the Venezuelan interior, using his notable technical skill in color photography to record some of the fine orchids he has found. 504 Native Orchids of the Northeastern United States (51 slides, 60 minutes). Dr. and Mrs. Norwood K. Schaffer of Baltimore, Maryland, spent many years exploring the woods and bogs of the Northeast to photograph the native orchids in their natural habitats. In this program, prepared and donated by them, they prove that you do not have to go to the tropics to enjoy orchid collecting with a camera. The long experience of the Schaffer’s with their subject matter has enabled them to show habitat shots that are almost unbelievable. The final slide alone is worth watching the program. 509 The Best of Madagascar (100 slides, 45 minutes). Fred Hillerman presents many beautiful orchids from this intriguing island off the southeast coast of Africa. Cultural tips are given for many of the interesting species, filling a gap in current orchid literature. Contrary to popular belief, white is not the only color found in Madagascan orchids. Wonderful photography captures a range of little-known and rarely seen plants that will tempt you to try their culture. 514 Native Orchids of California (79 slides, 60 minutes). Produced by Leon Glicenstein, Ph.D., this high-quality program introduces viewers to all of the 32 currently reported native species of California, including many intriguing color forms. The program is well supported by excellent notes that are both informative and educational. Emphasis is made on the issues of habitat destruction, reckless collecting and global conservation. 515 Orchids of Papua New Guinea (67 slides, 50 minutes). Assembled from two programs supplied by the late Dr. Andreé Millar, this overview of some of the best orchids of this center of orchid diversity is without equal. Sometimes not the best photography, but priceless nonetheless. 516 An Overview of the Native Orchids of Belgium (90 slides, 60 minutes). Courtesy of Patrick Mannens and ORCHIKA, this is a wonderful program packed with great photography and good narration about some rarely seen terrestrial orchid species and their variants. 601 Basic Orchid Photography (62 slides, 30 minutes). Internationally known photographic wizard Charles Marden Fitch conveys the fundamental knowledge of photography that is necessary to capture the transitory beauty of orchids on film. 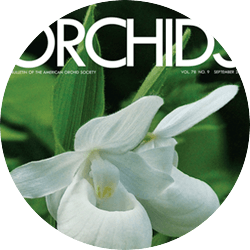 Why not enjoy this program and perhaps start a “family album?” Fitch’s presentation will serve as an excellent introduction to his book Orchid Photography that was published by the American Orchid Society in 1995. 603 Orchid Design (64 slides, 35 slides). 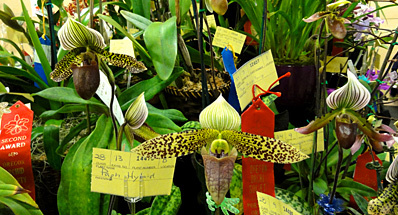 Prepared by Robert E. Hunt, a retired AOS judge from the Northeast Region, this program shows how to prepare and stage an aesthetically beautiful orchid exhibit. Many valuable suggestions are made on creating a good exhibit. Things to avoid are constructively cited. 604 Orchid Corsages for the Beginner (49 slides, 30 minutes). 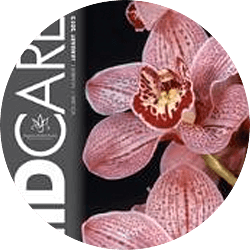 This program, prepared by the Foothills Orchid Society, provides all of the basic information for proper construction of corsages and tips for making them as long-lasting as possible. Why pay the exorbitant prices demanded by florists? Use your imagination and be creative.